Twenty years ago, Lancôme created a unique perfume which became a Legend of Haute Parfumerie: Trésor. Today, Lancôme reveals Trésor In Love and writes a new story; the treasured moment when everything starts, a liberated spirit of romance conveyed with floral notes... Both luminous and vibrant, sensual and radiant, Lancôme Trésor In Love Eau De Parfum is a soaring hymn to love. The juice of Trésor in Love was made with many contrasts: a new irresistible floral, composed of a touch of nectarine and wood of cedar, a characteristic rose and a bright jasmine. An object of desire with slender lines, the bottle of Trésor in Love delivers a resolutely modern energy, like an essence of today. A black satin rose adorns the bottle like a lucky charm around the neck. This silky-soft, oil-free emulsion is refreshingly light to gently wrap the body in the soothing scents of Lancôme Trésor. 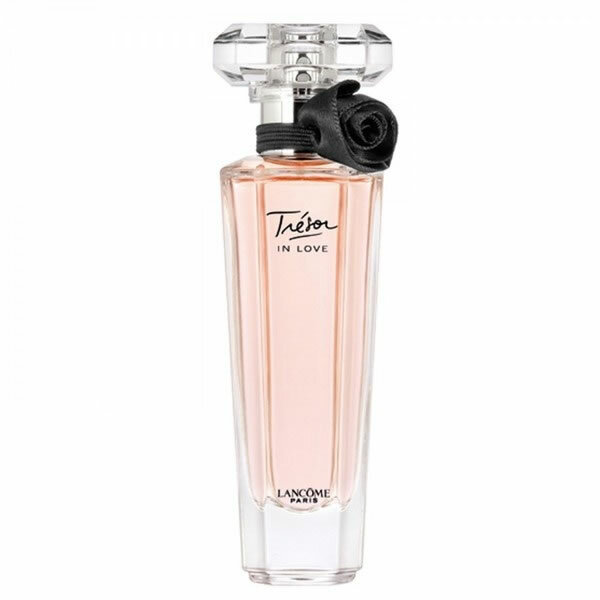 Both luminous and vibrant, sensual and radiant, Lancôme Trésor In Love Eau De Parfum is a soaring hymn to love.